Ah Cherry season. I was so excited to see rainier cherries at the market yesterday that I bought a large bag. It was good that I did too because it was the last bag of the day when I got there! 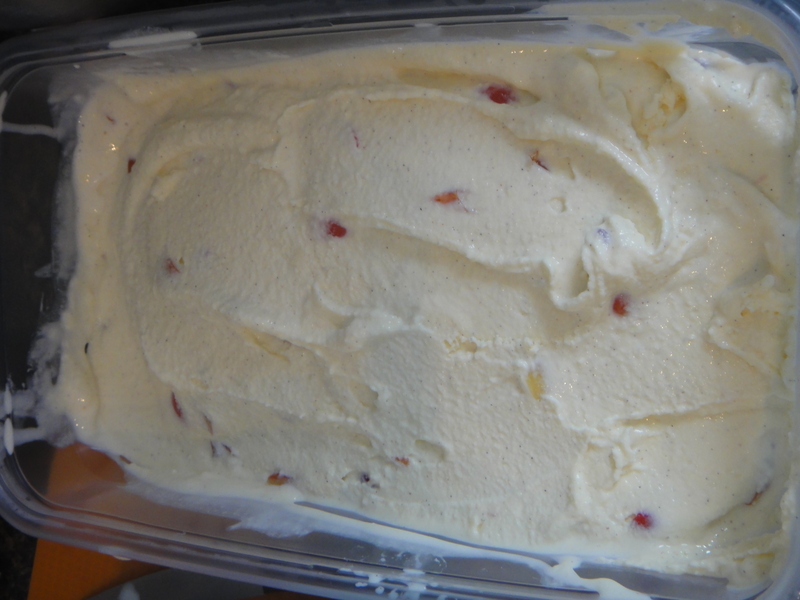 I thought the return of cherry season would best be celebrated with ice cream. I also love cardamon, so when I saw this recipe, I was quite excited to try it! Here they are, the lovely rainier cherries. I pitted and diced them, and added some sugar to let them sweeten up over night. First step, warm the milk, cream, vanilla and cardamom in a pot until just steaming. 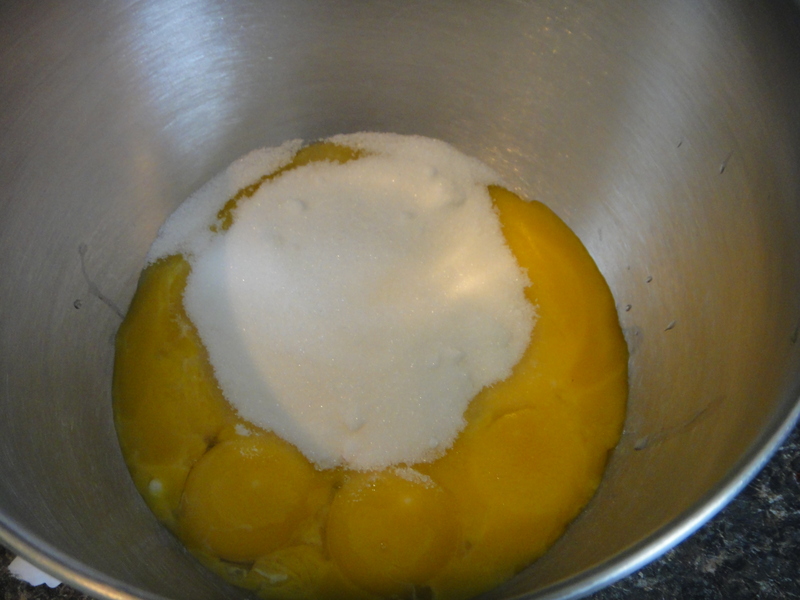 While it’s heating, mix the egg yolks and sugar until the sugar dissolves. Here the egg yolks are, ready to be tempered. 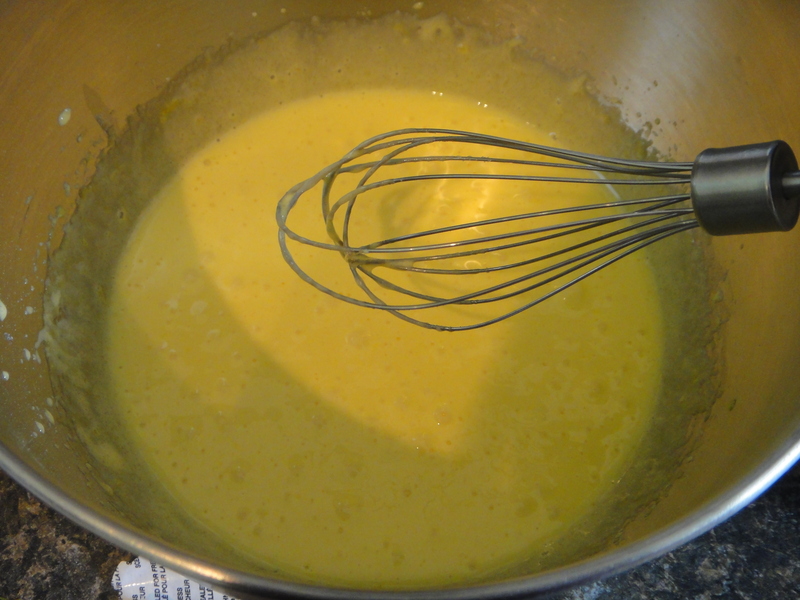 Tempering is where you add the warm milk mixture to the egg yolks very slowly, while whisking the whole time, so not to break the egg mixture. 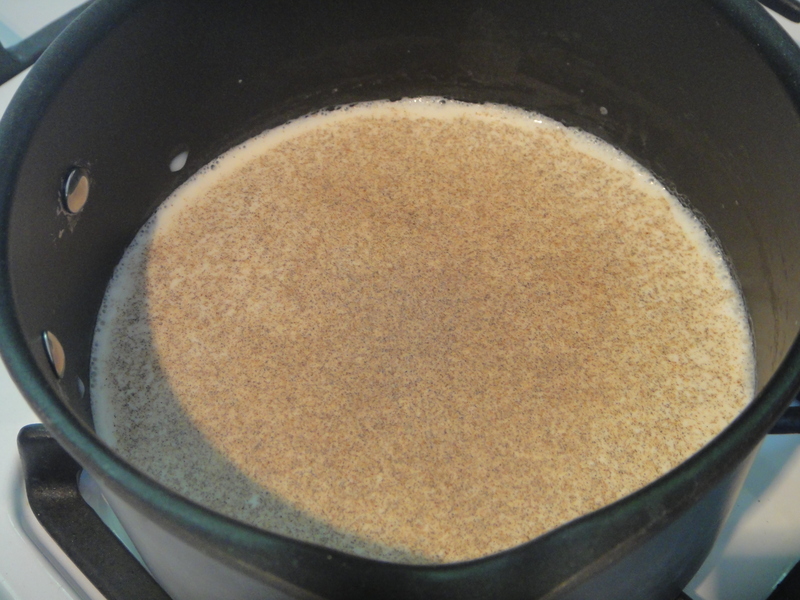 Once incorporated, add back to the pot and stir continuously over low heat until the mixture begins to thicken. Stick it out and avoid turning up the heat. Trust me, it’s worth it. Transfer back to your heat proof bowl and let cool in the fridge overnight. 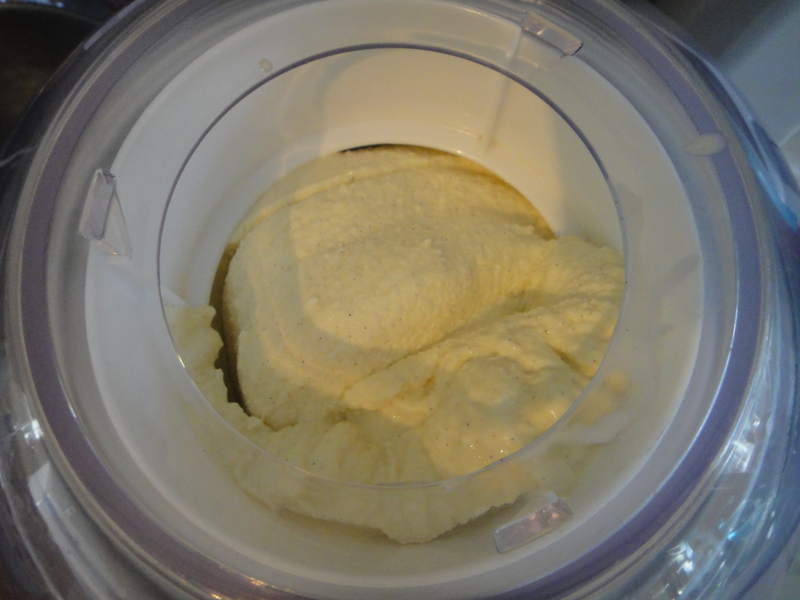 The next day, churn in your ice cream maker. Here it is, looking all tasty and ready to be devoured. Right at the end, add the cherries. Enjoy, on a sunny June day! 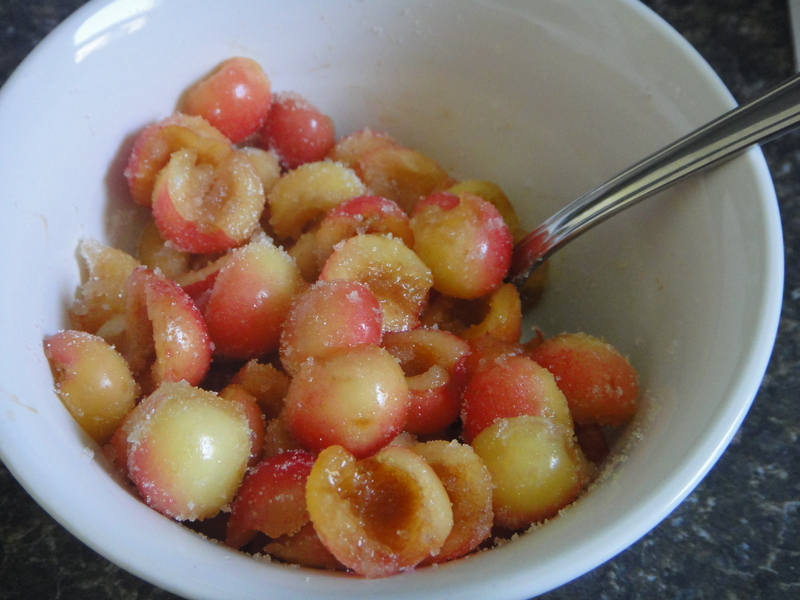 In a medium bowl, add the cherries and 2 tablespoons of sugar. Mix and keep refrigerated overnight. 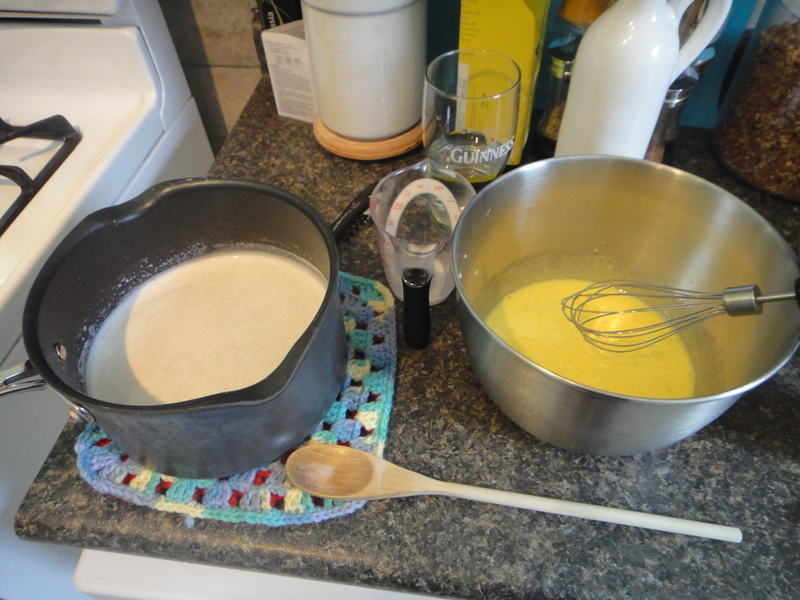 Whisk the yolks and sugar lightly in a medium heat resistant bowl, until sugar dissolves. In a medium sauce pan, add the milk, half and half, vanilla and cardamon. Turn the heat to low medium heat until it just begins to steam. Once bubbles start appearing around the edge of the pot, add 1/2 cup of the warm milk into the egg yolks in 2-3 increments while constantly whisking the egg yolks. This process is called tempering. Add the tempered egg yolks into the sauce pan while constantly stirring for up to 10 minutes. 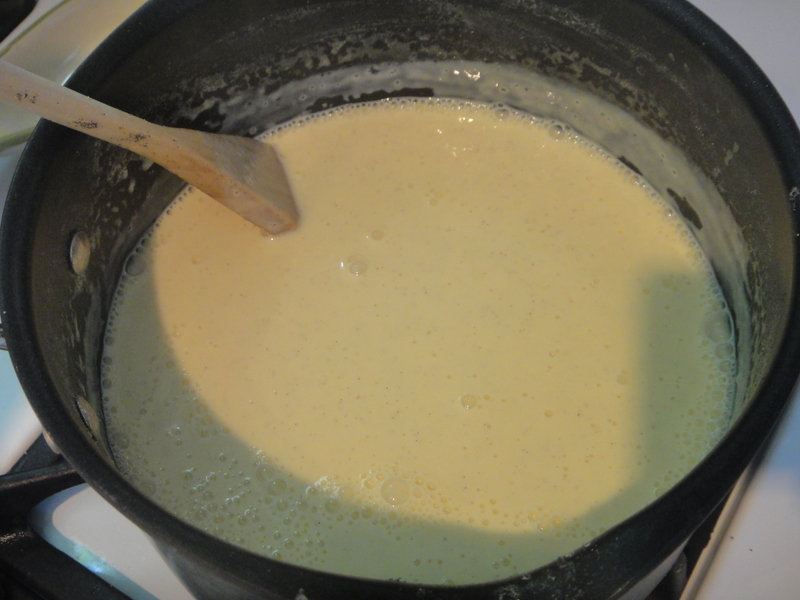 The milk/yolk mixture will turn into a light thin custard. 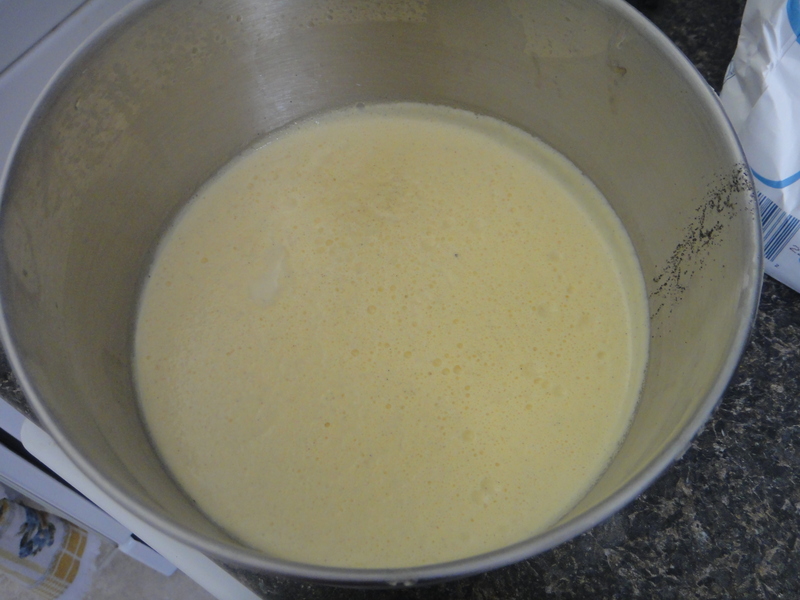 Remove from the heat and pour the custard base into a heat resistant bowl with a lid. Let completely cool and refrigerate overnight. 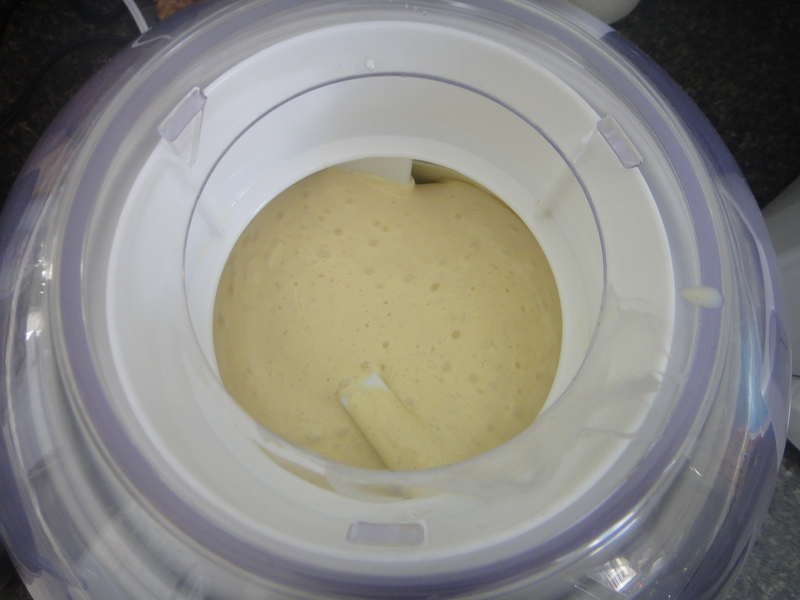 The next day, churn in an ice cream maker according to manufacturer’s instructions. 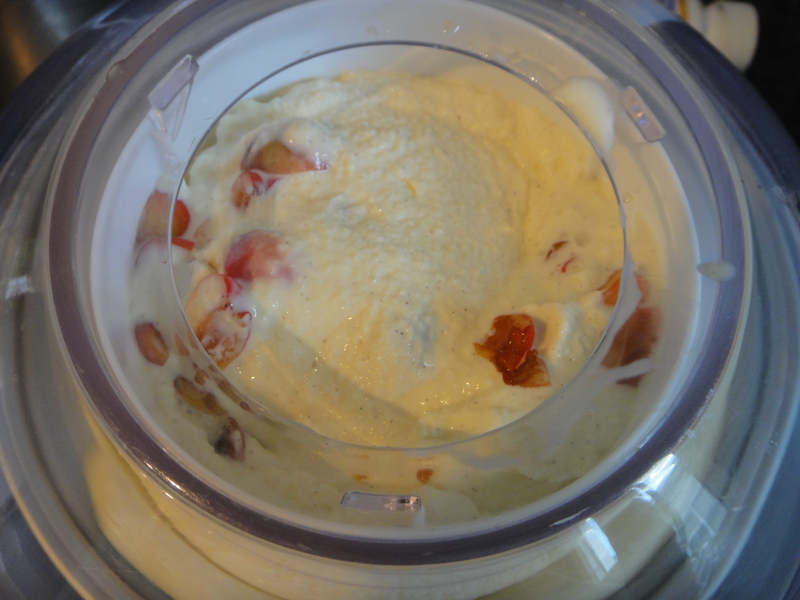 Once it reaches a soft serve consistency, strain the cherries and add them to the ice cream maker. 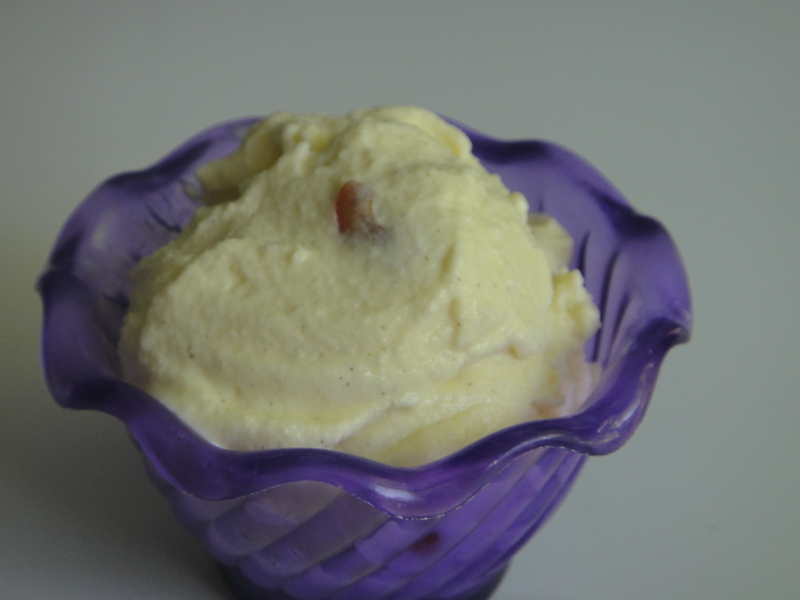 Churn for a few seconds longer until the cherries are evenly incorporated. Scoop into a freezer proof container. Cover with a lid and keep in the freezer, ideally overnight, before serving. Enjoy, a lot!